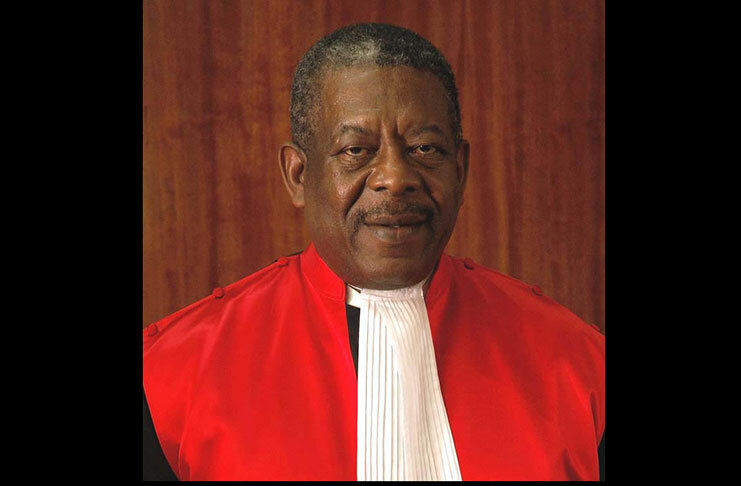 Sir Dennis Byron, former President of the Caribbean Court of Justice, will be the guest speaker at two educational activities organised by the CCJ Advisory Committee as part of activities aimed at bringing a better understanding about the work of the court to the voting population. Senator Norland Cox said that the activities would both be held on 18 September 2018. “He will be engaging the students at TAMCC on matters of the CCJ, and then we expect him to address the public at the Deluxe cinema on the same day,” Cox said as the guest minister of the weekly post-cabinet briefing last Tuesday. Deluxe cinema is in the eastern parish of St Andrew. Sir Dennis who has a long history as a regional and international judicial officer, demitted his CCJ post in July 2018. He was replaced by Adrian Saunders. In 1986, as Acting Chief Justice of the Supreme Court of Grenada on secondment from the Eastern Caribbean Supreme Court, Sir Dennis presided over the famous murder trial of the Grenada 17 who were all accused of playing a role in the assassination of then Prime Minister Maurice Bishop and others. Since launching its promotional activities with a national dialogue at the Trade Centre on 29 August, during which Mia Mottley, Barbados Prime Minister was the guest speaker, various members of the broad base committee have been engaging in radio and television discussion programmes all aimed at enlightening the voting population about the CCJ. These discussions are providing justification why Grenadians need to vote yes for 6 November referendum which seeks the make the CCJ Grenada’s final appellate court, instead of the London based Privy Council. Last week Friday, members of the Lower House of Parliament unanimously approved the bill as it went through its first stage of Parliamentary approval. The bill’s second stage will be deliberation and approval from the Senate or Upper House which will be done on Friday, 14 September. Following this, it must be published in the Gazette and a newspaper before going to people for a vote. The law provides for two third of the voting population to vote yes for the constitutional change to occur. This will be the second time that the CCJ Bill will be voted on a referendum. The first was in 2016 when 6 other bills were put forward in a referendum that if approved, would have had significant changes to the constitution.